There is no requirement of caffeine in the human diet for the body to function properly. Caffeine is a stimulant of the central nervous system (CNS), the cardiac muscle (increases heart rate), and respiratory system (relaxes air passages permitting improved breathing, and allows some muscles to contract more easily). It acts as a diuretic (increases the rate of bodily urine excretion) and delays fatigue (having the effect of warding off drowsiness and restoring alertness). For these reasons, caffeine is the most popular drug in use throughout the world. These effects are heightened if the person doesn’t normally consume caffeine or if a person has been on a break from having caffeine daily. Do Theophylline and Theobromine have the same effects? 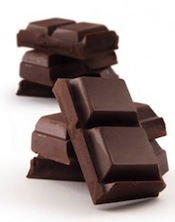 The related alkaloids theophylline (found mainly in tea) and theobromine (in cocoa beans, cola nuts and tea) act as a cardiac stimulant, smooth muscle relaxant, diuretic, and vasodilator (widening or dilating blood vessels in the body). Some people find them to have a better stimulating effect than caffeine, while others find them not as effective. When determining the caffeine content of a food or beverage, these two related alkaloids aren’t included in the total amount. How long does caffeine absorption take? Generally it is absorbed by the body very quickly – caffeine enters the bloodstream through the mouth, esophagus, stomach, and small intestine with its effects felt as soon as 15 minutes after consumption. It is completely absorbed within 45 minutes of ingestion. Caffeine does not accumulate in the bloodstream nor is it stored in the body, but it does persist – only about ½ is eliminated in the urine within 4-6 hours. Does caffeine effect metabolism and weight loss? Caffeine does not suppress the appetite, although it does increase the level of circulating fatty acids, thereby enhancing fat oxidation. This is why caffeine is used by runners and endurance trainers, although it is most effective in non-habitual users. Also, contrary to popular belief, the effects of alcohol are not reduced by caffeine, although as mentioned above it can provide temporary relief from fatigue and drowsiness and from migraine headaches. Are some more sensitive to caffeine than others? 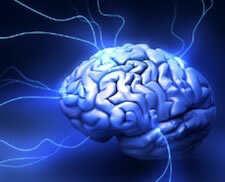 Caffeine sensitivity refers to the amount of caffeine that will produce negative side effects in a particular person. 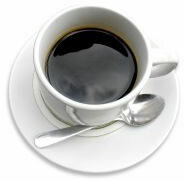 Regular caffeine consumption reduces sensitivity to caffeine, and a higher intake is needed for the same effects. So caffeine is considered to be an addictive drug. Some can consume large amounts of caffeine without any problems, while others have side effects from even the smallest amounts. What are caffeine withdrawal symptoms? 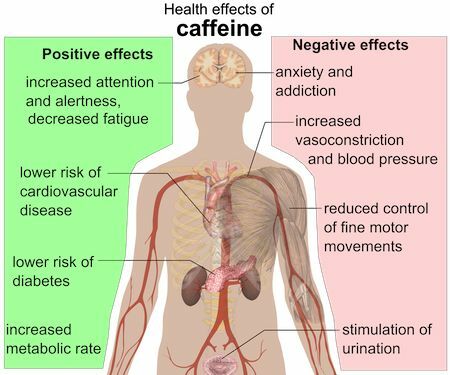 When caffeine intake is reduced, the body then becomes oversensitive to a chemical in the brain (adenosine) relevant to the sleep process, causing blood pressure to drop dramatically, producing an excess of blood in the head area (not necessarily on the brain) and leading to a headache often lasting several days. Other withdrawal symptoms reported are fatigue and muscle pain, irritability, inability to work, nervousness, restlessness, and feeling sleepy, and in extreme cases, nausea and vomiting. Gradual reduction of caffeine intake abates these symptoms. Three 8oz/230ml cups of coffee Has no apparent health risk in most individuals. Six 8oz/230ml cups of coffee Can increase alertness, but also reduce fine motor coordination and cause insomnia, headaches, dizziness and nervousness. 12 or more cups of coffee Can cause jitters, rapid heartbeat, nausea, anxiety attacks, heart palpitations, insomnia, sweating, dizziness, vomiting, cardiac arrest. 80 cups of coffee. This assumes the caffeine was consumed rapidly. Cardiac arrest. See also Death by Caffeine. 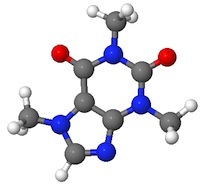 Caffeine is an alkaloid compound, which in pure form is odorless and bitter in taste. Caffeine is one of many alkaloids (including theophylline and theobromine) which occur naturally and in varying amounts in leaves, seeds, and fruits of more than 60 plants. Caffeine is consumed from these sources in beverages and foods such as tea, coffee, chocolate, cocoa, matè, caffeinated soft drinks, caffeinated pills, coffee beans, and some drugs (pain killers such as Excederine). Coffee comes second only to petroleum as the world’s most widely traded commodity. Espresso – A machine forces hot water through very finely-ground, compacted coffee into cups below. When properly prepared by a ‘barista’, the result is a golden brown liquid called the ‘crema’ on top of black coffee. One espresso ‘shot’ is between 1.5 fl oz/44 ml and 1.75 fl oz/52 ml, produced from 7 grams of ground coffee. Moka-Nepoletana – In a combination of espresso and percolator methods, water is boiled in the lower container of a double-chambered pot, and forced up through a tube then down through finely-ground coffee. Arab or Turkish – Finely-ground coffee with sugar in a cupful of water, is brought to the boil then taken off the heat up to 3 times, before being poured to drink as a strong-tasting coffee. K-Cup Caffeine– Keurig’s K-Cups are similar to the filter brewing style and have a similar taste and caffeine content. Cafe au lait: Brewed coffee, preferably dark French roast with chicory, with half scalded milk (not steamed), poured into the cuo together. Unadulterated coffee (that is, only water added) has no calories. The calories in coffee drinks are present in the additives – lattes, mochas, iced espresso blended with sugar, whipped cream, ice cream, flavored syrups, alcohol, and so on. Restrict intake to no more than 250mg of caffeine per day. Aim for moderate use of coffee – one serving of coffee ranges from about 80mg for a single shot (30ml) of arabica variety espresso to about 140 mg for strong drip coffee. (Starbucks drip can be even higher!) Caffeine content of coffee beans is between about 1 to 1.4% (Arabica coffee normally contains less caffeine than the Robusta variety). Generally, dark roast coffee has less caffeine than lighter roasts (the roasting process reduces the bean’s caffeine content). Use decaffeinated coffee, if it has been naturally decaffeinated or Swiss water processed (no chemicals have been introduced). Decaffeinated beans have only about 0.02% caffeine, so that one cup of decaf coffee has only around 2-4 mg of caffeine. Be aware of the caffeine content of other beverages (cola’s for example), snacks and candy (like chocolate). If you’re a tea drinker note that 8oz of regular tea can range between 47mg to 60mg, 8oz of green tea has 25mg, and the caffeine content of Matcha green tea is 70mg per 8oz serving. But I just wanted to know , coffee is hot or cold in nature. Very nicely done on the information listed.